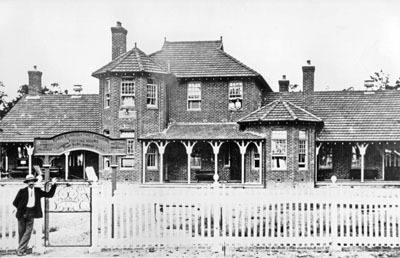 The first Hospital Saturday fund-raising event for Kurri Kurri Hospital was arranged in 1905. It was suggested by Mr. Mark at the Hospital Committee Meeting in September and was to be held on October 28th 1905. 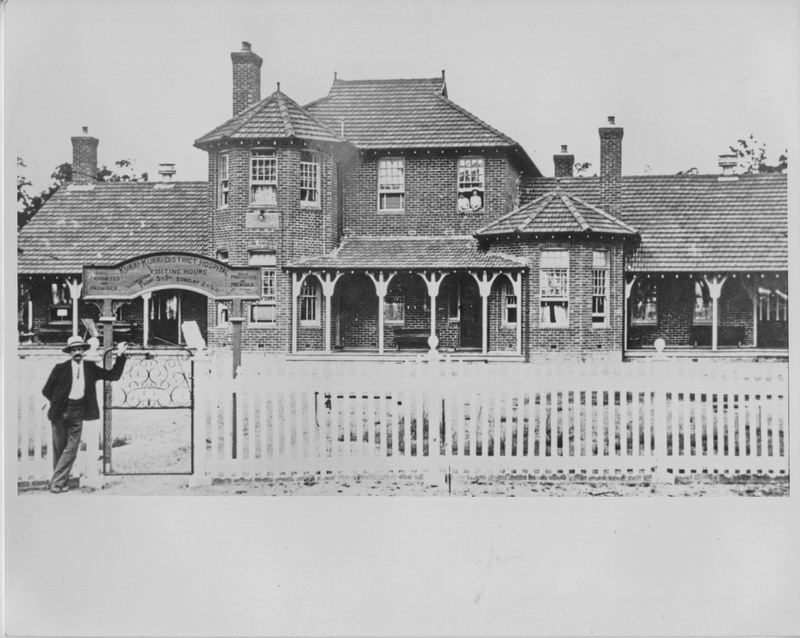 The idea of Hospital Saturday was modelled on the Hospital Sunday fund-raisers first held in Birmingham, England, in 1859, when Church collections on one Sunday of each year went towards the upkeep of the local hospital. The Ladies Committee was responsible for organising the day and took to fund-raising with much enthusiasm, with collectors stationed on the streets of Weston, Abermain, Cessnock and Maitland from 8am to 6pm. The ladies both charmed and demanded money from passersby and some contributors found themselves asked to donate several times. "To declare that you were "stoney broke" was but a challenge to the ladies for a still more vigorous and irresistible onslaught, and it was only when mere man was reduced to a mere fragment that he was permitted to take himself and his lightened purse off." Even though the weather brought gales of wind, a short period of heavy rain and a huge dust storm at midday, the ladies managed to raise £96 10s through their collection boxes. Hospital fundraising became an annual event. In 1910 the Hospital Sunday procession also celebrated the amalgamation of the Friendly Societies whose funds provided sickness and hospital benefits to members. Friendly Societies proudly marched behind their Lodge and Society banners. The Druids' float was one of the most popular with a tableau of a sick child being attended by a nurse. 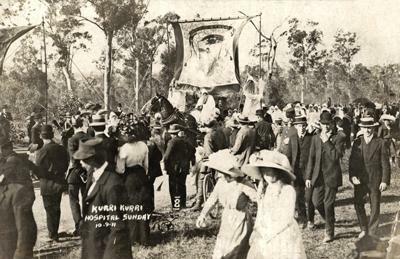 At the 1911 Hospital Sunday procession the rescue of a miner was re-enacted by the Druids. Riders on horseback with flowing robes and beards rode alongside the float which bore the banner "Unity is Strength". The Kurri, Weston and Maitland Bands played and the procession included the Free Gardeners with a miniature garden on a trolley, The Protestant Alliance, The Australian Hibernian Catholic Guild, the Manchester Unity Independent Order of Odd Fellows (M.U.I.O.O. ), The Foresters, Rechabites, and the Grand United Order of Odd Fellows (G.U.O.O.F.). Special trains were arranged for the day, and Lodge Officials travelled from Newcastle and Sydney to address the spectators. Mr W. Kearsley M.P. addressed the crowd with words of encouragement and praise for the fundraising efforts of the combined Friendly Societies and Mr D. Watson, president of the Colliery Employees' Federation, praised the Friendly Societies as part of "a great brotherhood". The women of the Ladies Committee went amongst the crowd collecting for the fundraiser and a total of £120 which was 'far in excess of what they expected" was raised. The day was considered a huge success. The event concluded with a performance by a male voice choir. Andrews, Brian, 1998, Kurri Kurri Cottage Hospital, In the Beginning 1904-05, Coalfield Heritage Group, 1998. Print. 'Hospital Sunday Fundraiser', Kurri Kurri Times, 27 October 1905. Print. 'Kurri Kurri', Newcastle Morning Herald and Miners' Advocate, 11 September 1911. Print. 'Kurri District Hospital, Sunday Afternoon Demonstration, Dual Purpose Gathering.' The Maitland Daily Mercury, 7 November 1910, Coalfield Heritage Group, 2002. Print. Newcastle Morning Herald and Miners' Advocate, 12 September 1911. Print.